Volvo Penta diesel engines for inboard shaft installations have always been about drivability and comfort. Unique marine torque and rapid acceleration, combined with a class-leading power-to-weight ratio, means they always deliver. The range became even more diverse with the D13-1000, putting 1000 hp at the fingertips of boat owners worldwide. In other words, cruising as become even more superior, without sacrificing durability or reliability. The joystick is the latest addition to controls for twin inboard installations, making handling and docking easier for inboard boat owners. It connects the rudder with the gear, throttle and thrusters. 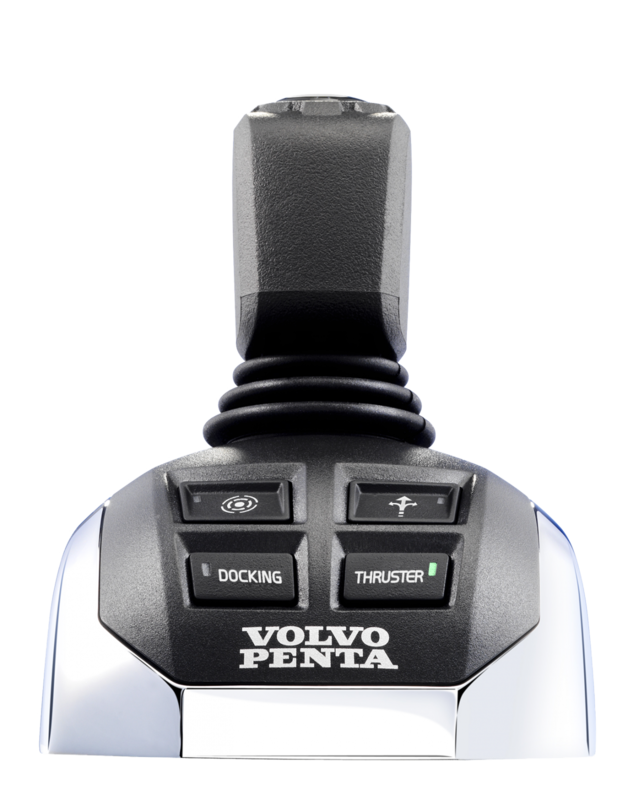 The advanced Electronic Vessel Control system converts driver inputs across all four functions for outstanding maneuverability while docking or driving.